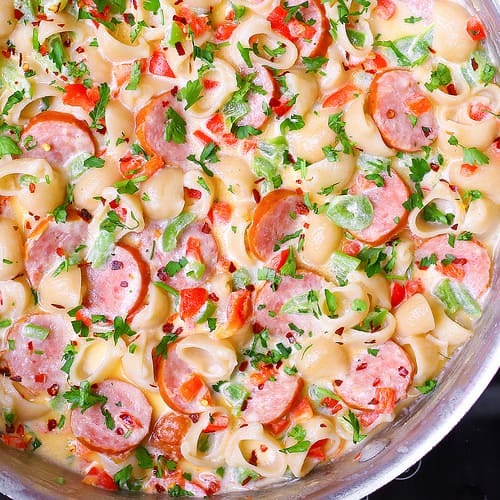 Creamy and Spicy Pasta Shells and Sausage – savory smoked sausage sautéed with bell peppers until nicely browned, then smothered in a creamy Parmesan and Mozzarella cheese sauce with pasta shells, spiced up by red pepper flakes! 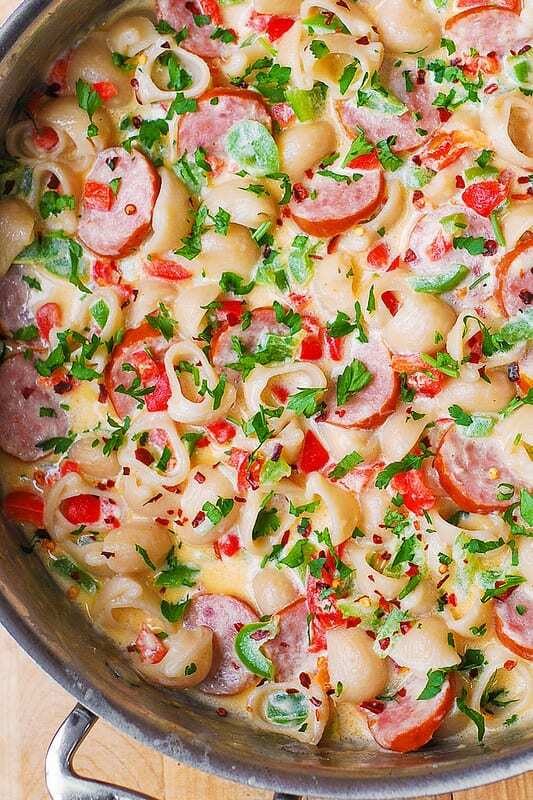 Creamy sauce, pasta, and spicy sausage go great together. It’s an easy recipe, but it’s very important to use the right kind of sausage. Use savory (NOT SWEET) smoked sausage without any sweetness added to it. Italian spicy smoked sausage is great too. 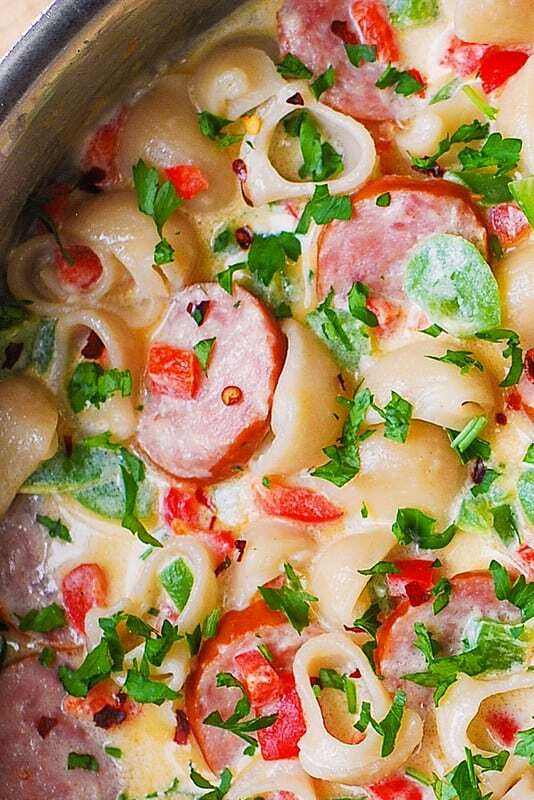 Creamy and Spicy Pasta Shells and Sausage - savory smoked sausage sautéed with bell peppers until nicely browned, then smothered in a creamy Parmesan and Mozzarella cheese sauce with pasta shells, spiced up by red pepper flakes! Heat olive oil in a large skillet on medium-high heat. 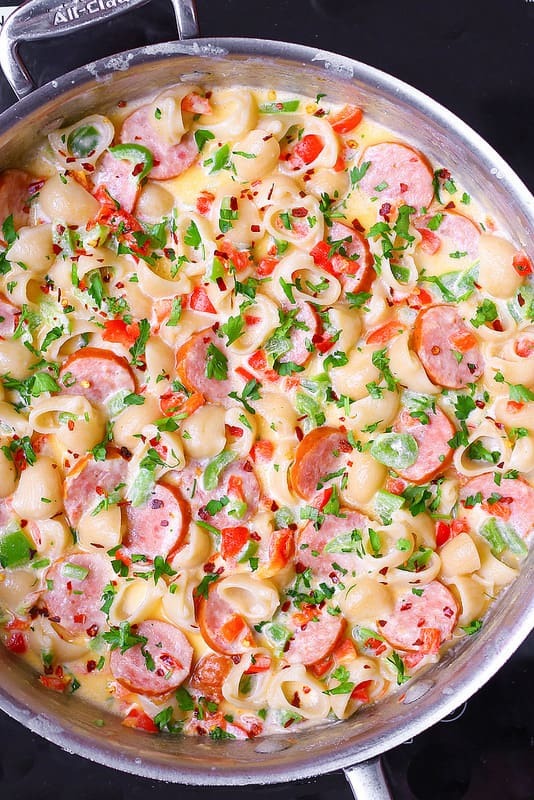 Add chopped bell peppers, sliced smoked sausage, and red pepper flakes and cook for several minutes, occasionally stirring, until the peppers soften, and the sausage starts to brown. Add half and half to the skillet and bring to boil. Add shredded Parmesan and shredded Mozzarella cheeses to the skillet, and keep stirring until the cheese starts to melt. Reduce heat to medium-low and continue stirring until all the cheese melts. In the mean time, cook pasta according to the package instructions, drain. 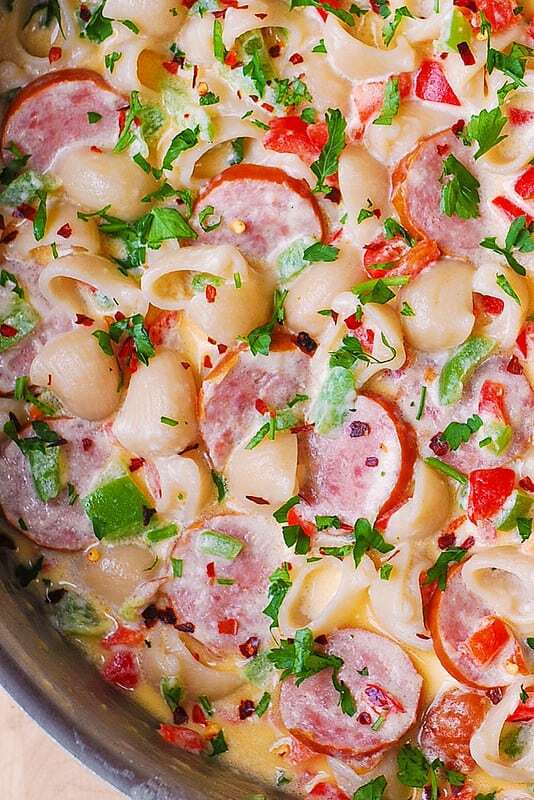 Add cooked pasta to the skillet, stir everything in. Taste, add more salt and extra crushed red pepper flakes, if desired. 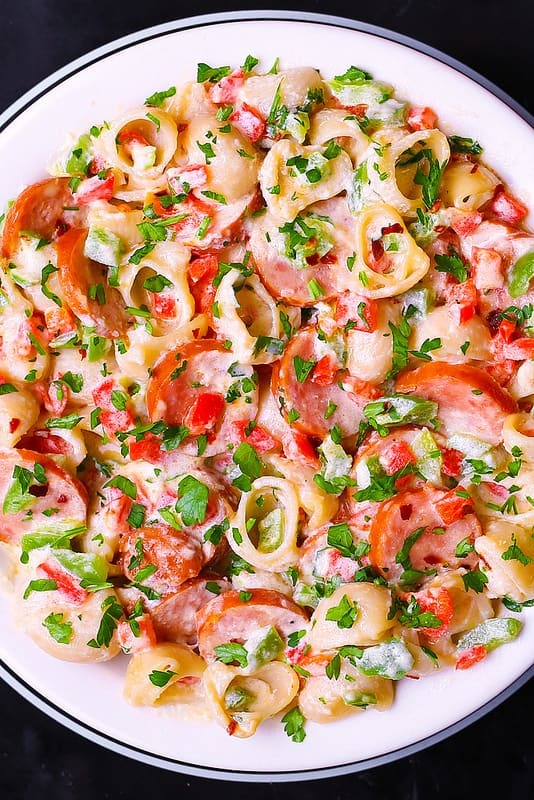 A must try pasta dish for sure. Loved the pics even more!